From left to right: Natalie Kay Smith of Sustainably Chic, Amanda Jo of Organic Bunny, Dr. Courtney Kahla of Pure + Radiant, Alba Ramos of SunKissAlba, and Becca of Organically Becca. Transitioning to a more eco-friendly lifestyle can sound intimidating but it’s so much easier (and fun) when you have someone showing you the ropes. Blogs and Instagram have become such vital tools in the organic movement. Questions are raised, ideas are shared, and the realization that we’re one of many who are journeying towards a more natural life is inspiring and encouraging. 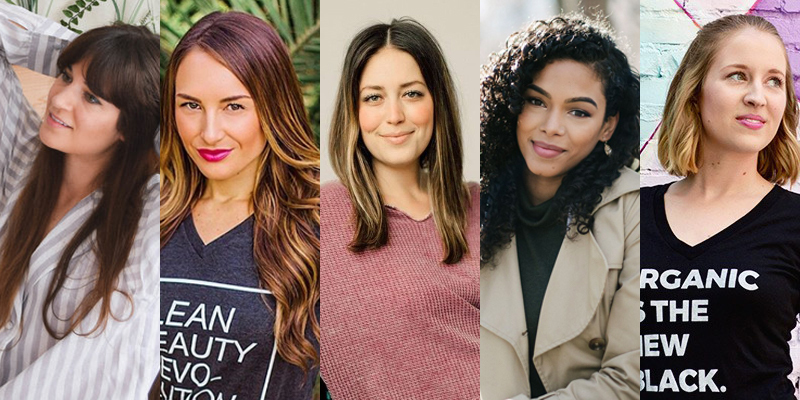 There are so many people we admire in this community but here are five who are educating their followers about the importance of going organic (and sharing their love for Savvy Rest!). 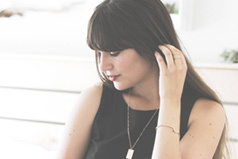 Natalie is the creator of Sustainably Chic, a blog all about ethical and responsibly-made products. She defines sustainability in a multi-faceted way, looking at the environment, economy, traditions, available resources, etc. We’re so proud to have met Natalie’s standards. She has become a huge supporter of our natural furniture and organic bedding items and even took the time to visit our headquarters in Virginia. Perhaps her most loved Savvy Rest product is our Esmont natural platform bed. Natalie is also a fan of our organic kapok body pillow since it has helped alleviate some of her scoliosis-related pain. Natalie will be welcoming a baby boy this month and yes, she chose the best crib mattress. Make sure to follow Natalie on Instagram! Alba of SunKissAlba is all about organic living, whether through skincare products, makeup, food, or furniture. And people want to hear her thoughts. She has an impressive 381K followers on Instagram and has even created an organic facial oil through her partnership with Derma E. She has become a seriously influential figure in the healthy living conversation. When looking for an organic mattress for her son, Alba wanted something comfortable and non-toxic that would also last him for years to come. We’re so happy she chose Savvy Rest. Manny sleeps on a Serenity organic mattress, our most popular customizable mattress model. He also has the Esmont platform bed in zero-VOC walnut. Alba is pleased with the way it looks in his bedroom. We’re so thankful for Alba’s support and respect her passion for spreading the word about all things organic. See Alba’s full review of Savvy Rest on her YouTube channel. Amanda, also known as the Organic Bunny, is another one of our favorites in the organic and natural movement. When we first met Amanda, she was a super popular blogger juggling an extensive social media following and the Organic Bunny box, a monthly organic beauty subscription box. Fast forward to now and she has even bigger following (121K on Instagram) and an online store where she carries anything you could ever want in the organic beauty and skincare world. She calls her customers “The Organic Bunnies” and they wholeheartedly embrace the title. Amanda sleeps on the Serenity and she’s been happy with the materials and overall feel of the mattress. Amanda isn’t the only one in her family who sleeps Savvy. Her adorable golden retrievers, Hudson and Parker, love to lounge on their Savvy Doggy pet bed. Parker is all grown up now but we never get sick of this photo. So cute! Becca is dedicated to educating her followers about the many ways we can positively impact our health and the health of our planet through the products and brands we choose to support. Her blog is filled with useful information, covering topics such as food, hygiene, beauty, and even bedding. Like Natalie, Becca is a fan of our organic kapok body pillow. She even wrote an entire blog post about it. And just like Amanda, Becca wanted her fur baby to have the very best. Dexter is living life to the fullest with the Savvy Doggy bed. While Hudson and Parker opted for the formed latex option, Dexter lounges on the shredded latex Savvy Doggy. You can follow Becca on Instagram here. Last but not least, we have Dr. Courtney Kahla who is your go-to resource for Chiropractic care. She’s smart, driven, and always happy to answer your questions on Instagram. Courtney isn’t just a Chiropractor though. She also has a skincare line, Pure + Radiant, where she offers natural toners, serums, and scrubs. We first got to know Courtney after she won one of our body pillow giveaways! Now she’s a fan. We hope you’ll follow these incredible ladies on Instagram. 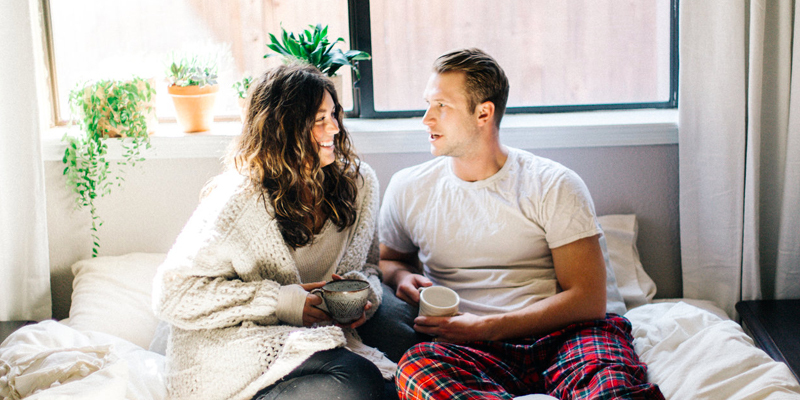 Their passion for green living inspires us every day. Transitioning to an organic bedroom can be a big task. Here are the five Savvy Rest must-haves (if you really have to limit it to five, that is). We offer several body pillow sizes and fills. It’s just a matter of figuring out which one is best for you!